Proceeds benefit We Are The Seeds, a celebration of contemporary and traditional indigenous art. The show includes music, dance, fashion, and culinary art representing a beautiful diversity of cultures and regions. SEEDS . The Santa Fe Railyard . Santa Fe NM . 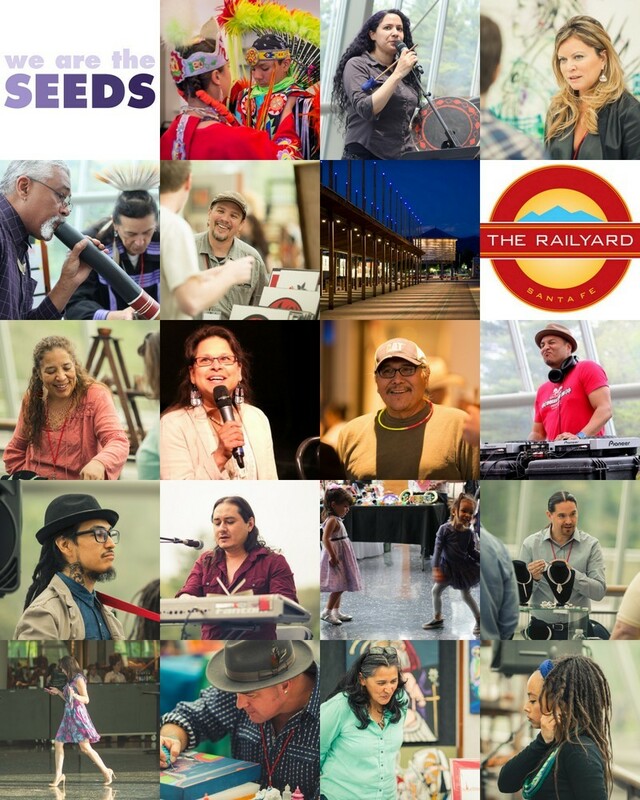 We Are The Seeds, produced by experienced art show producers, Paula Mirabal, Sharon Lucero and Tailinh Agoyo. The dynamic team will produce art shows that feature contemporary and traditional indigenous art, including juried fine art, music, dance, fashion, and culinary art. Additionally, Seeds, Santa Fe will have a special section reserved specifically to highlight and honor indigenous women artists, their important contributions to the artist community and their own communities. I was born in Shiprock, New Mexico, on the Navajo Nation reservation. I am an enrolled member of the Navajo Nation and I grew up in Farmington, New Mexico, which is about 30 miles east of Shiprock. Growing up I was always drawing and that has been a passion of mine all my life. Growing up I was exposed to comic books and this has been a huge influence on me and my art. I grew up with no electricity and running water, conveniences that many take for granted, so comic books were my main source of entertainment and escape for my imagination. Having many family members that are artists, my mom does beadwork, my dad draws and paints, many uncles and cousins that are very good artist, has made me push myself to strive to always get better. My little brother is also one of my biggest inspirations; he and I would draw all day and at night draw by kerosene lamps. After graduating high school, I didn’t know what I wanted to do, so I worked in construction for awhile and didn’t think I could afford to go to college. But one day I decided to at least try and then sent off an application to The Institute of American Indian Arts in Santa Fe, New Mexico, which I heard of through many people. I was accepted and this was a huge moral boost, I was going to go to art school. Going to the school opened up my eyes to a lot of possibilities and potential for me. I only did drawings before and the school help me realized I can paint, do ceramics and sculpture, all which I really enjoy doing, especially painting. I received my Associates of Fine Arts, in 2007, and am working on finishing up to get my Bachelors Degree of Fine Arts.